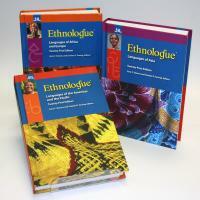 The 21st Edition of Ethnologue is offered in three print volumes organized geographically. Each volume is self-contained (including introduction, maps, and indexes) and so can be used independently. You can purchase select previous editions online.